The Sherlock Holmes Tearoom is located in the Edinburgh West End, just minutes away from the Haymarket train station and a short 10min walk from the famous Princes Street. The Tearoom is open Monday – Friday, from 10am until 3pm and is run by our amazing volunteers. It welcomes you whether you’re after a nice and warm cup of tea/coffee, needing a comforting piece of delicious homemade cake for a catch up with friends, or to have some of our delicious homemade soup. 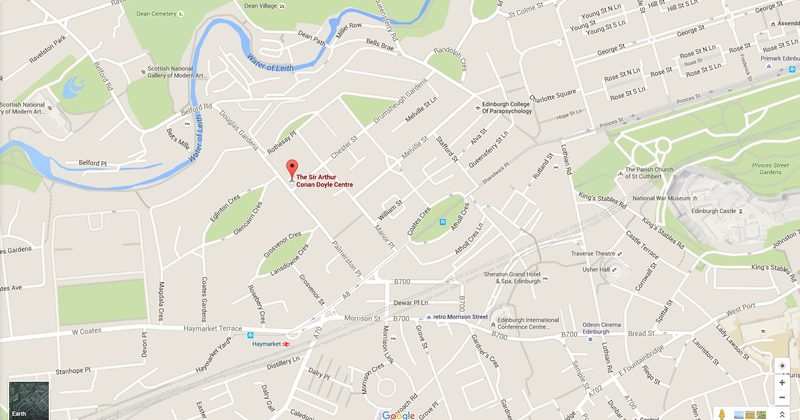 We cater for everyone at the Sherlock Holmes Tearoom and will be happy to welcome you whenever you are passing by. So don’t hesitate to come in, you’ve got no excuses now! The Sherlock Holmes Tearoom offers a large range of teas from the original black tea to green teas, mint teas, herbal teas and even fruit teas. Our Tearoom also offers a variety of coffees for those who prefer some strong caffeine in the morning (and all day long). Espresso, Latte, Cappuccino, Latte or Decaffeinated are all available at the Sherlock Holmes Tearoom. 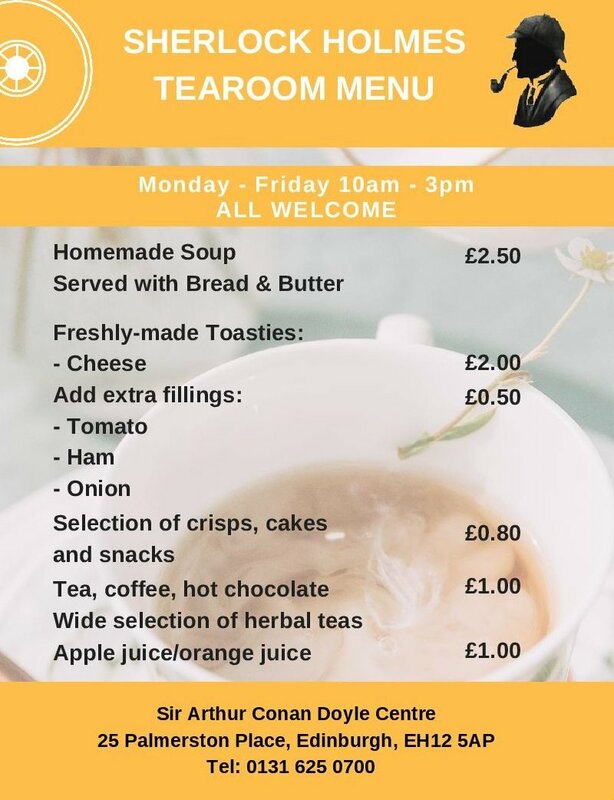 If you are more of a savoury person, don’t feel left out, the Sherlock Holmes Tearoom has something for you and offers homemade soup or toasties. See our full menu below. We can also offer catering for your meetings and events. Either book a room, or have it in our Tearoom. Here is a link to our full catering menu. See you in the Tearoom!